Ever felt like you needed a refresher course on how to be happy in life? 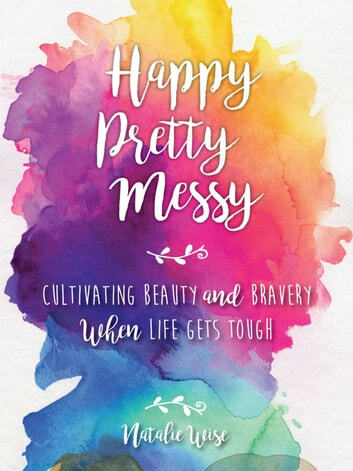 Happy Pretty Messy is a modern-day inspirational guidebook for women of all ages seeking to live with beauty and bravery. You'll also learn Wise’s secrets to enjoying the everyday arts”-such as keeping home, keeping in touch, and creating memories. From cultivating your inner self to creating community and the perfect homemade latte, Happy Pretty Messy inspires a life that flourishes with charm, color, caffeine and, most importantly, courage. Finding value in these things might be the most important thing you do, so grab this book and dig in today.